Our corporate Conference team within Croydon are on hand to make your event a success by providing ideas and solutions to your Conference needs. with years of experience to suggest those special tweaks to make your event flow with ease. We have hosted events for small companies right through to large NHS events. We can cater for all sizes of conferences, from a small select number. We have rooms to suit for a one to one interview through to a large room for up to 300 delegates, we can set up the room to suit your needs. We have Wi-Fi in our main rooms and in our communal areas, flip charts, projection screens are provided. We offer a full range of food and drink menus, we can provide drinks and mid-morning refreshments, buffet lunches and afternoon tea all can be served in your room, or if required we can organise a break out room. click on banqueting & menus above to download a full choice of menus. If you need anything special for the day, just ask us, we are here to assist you in everyway. Bar food is available between the hours of 09:00 to 14:00 and 17:00 to 20:00, if your conference is not catering for food. Your delegates don’t have to leave the building, they can enjoy a freshly made lunch right on our premises. With a fully licenced bar, you can celebrate the success of your team and colleagues. We have a small carpark next to our building with disabled bays, we have a large carpark in Stanton Road, which is just round the corner. Both carparks are free to anyone of our customers using our location. The Doyle room is a small room that can cater for small Conferences and training sessions. 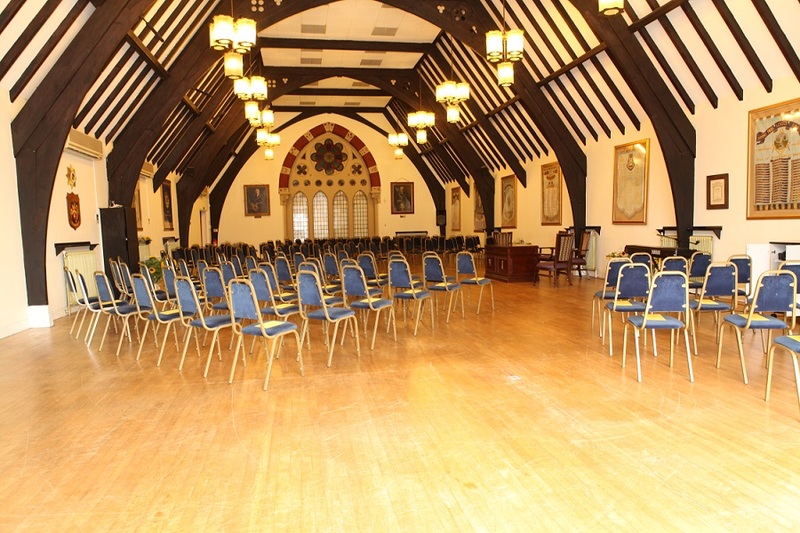 Our Main Hall is our pride and joy. 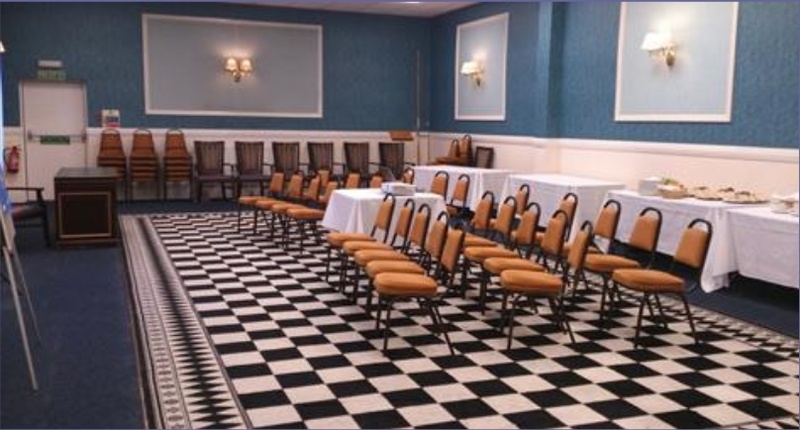 A charming, flexible and large versatile room which is used for a wide range of different functions. 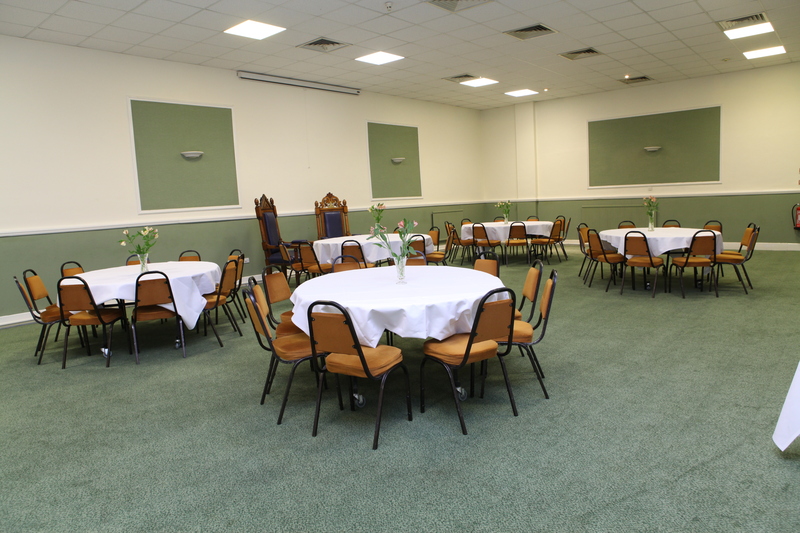 Capable of seating 200 for dining with a dance floor or meeting room for 300 this is the ideal room for private functions and Civil Wedding Ceremonies. Light and spacious it can act as an elegant reception for large events. The room can be arranged in many different layouts to suite the occasion and our experienced events team will help you plan every tiny detail. This elegant room is a light and comfortable space combining style with intimacy and warmth. 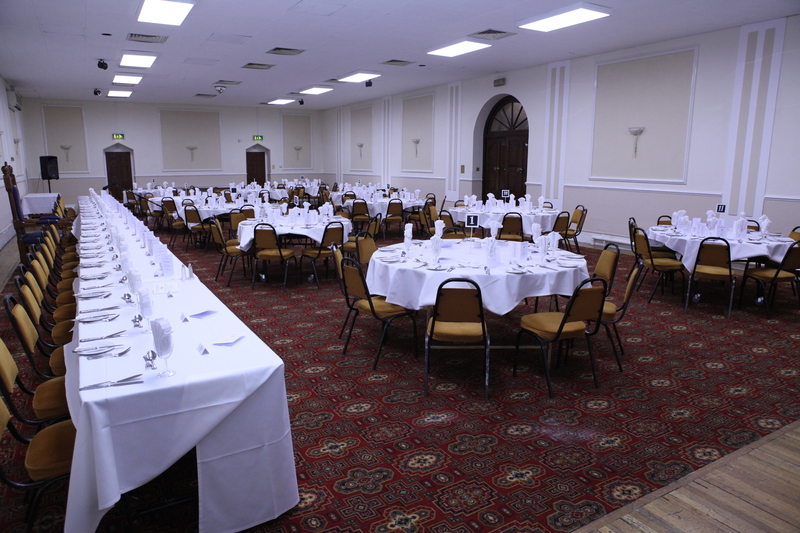 It can accommodate 180 guests for a dinner dance and 150 for Civil Wedding Ceremonies. Used extensively for a wide range of private parties, receptions, conferences, meetings, dinner dances it’s the Festival Suites most popular room. We offer a bespoke service to our customers, including individually-designed menus served by professional waiting staff. We always go that extra mile and will ensure every aspect of your event meets your requirements – simply tell us what you want, and we’ll arrange it for you. Whatever event you are planning you want it to be perfect. The Wisby Room is licensed for Civil Wedding Ceremonies and is the perfect setting for your reception so that you can enjoy your special day all under one roof. 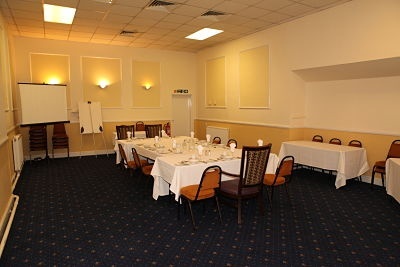 The room is also a great venue for your Parties, Christenings, Dinner Dance, Conferences, Meetings or any other occasion. It can accommodate up to 60 guests seated on round tables with a designated area for your DJ or band including a dance floor. We take great pride in making sure that yourself and your guests have an enjoyable day with many happy memories at The Festival Suite.